9/10 hunters would say deer would move less during a windy day, so basically it’s a waste of time hunting them when winds are high. However, there is enough evidence that proved this idea is wrong. The simple truth is not invalidated despite the circumstantial proof that you “see fewer” deer when winds are blowing. So do deer move when it’s windy? The answer is YES, they are. But there’s still more to learn. A seven-year study in Oklahoma has led to the conclusion that wind speed function doesn’t significantly affect the distance traveled by deer. So they are still there, moving, only that you can’t find them coincidentally. 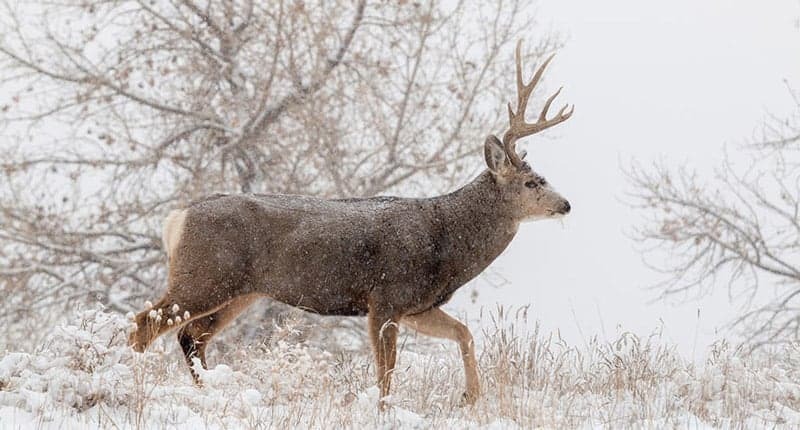 Scientists fit the deer with Global Positioning System (GPS) devices to track their movement at specific times throughout the seasons of winter, spring, and summer. It has been found out that regardless of wind direction and wind speed, deer are still active in both sunrise and sunset. Furthermore, there are even other factors that affect the deer more significantly than the wind. These are humidity of their habitat, barometric pressure, and environmental temperature. A different study conducted three years ago also has their findings which are quite similar to the study above. The speed of deer movement is tabulated in different wind conditions. The data analysis would surprise most hunters. After separating the data into buck and doe, then analyzing movements at various levels on both night and day, results show that deer move less during a windy. However, deer move more during a windy day. And this is factual to both male and female. So there’s a little truth to the hunters’ myth after all. But keep in mind that moving “less” doesn’t mean the deer aren’t moving at all, so it can be used as a justification that you can’t hunt deer when the wind is blowing because again, they are still moving, only at lesser speeds. Also, the difference of deer speed in relation to time is not that vast. They move more at a tenth of a mile or more during a windy day. And they move less at a tenth of a mile during a windy night. In conclusion, they are still moving. The old saying that deer “stop moving” during windy periods is false after all. You can still hunt deer; you just have to find where they are. You might begin by reconsidering the habitat preferences of deer. For starters, deer lead simple lives. This means that they are already comfortable once they find a place that could offer their basic needs. These include food and water. Also, their ideal habitat is a place that has minimum environmental stresses, conducive for reproduction and away from their predators. All these necessities are the primary motivation of deer to move. 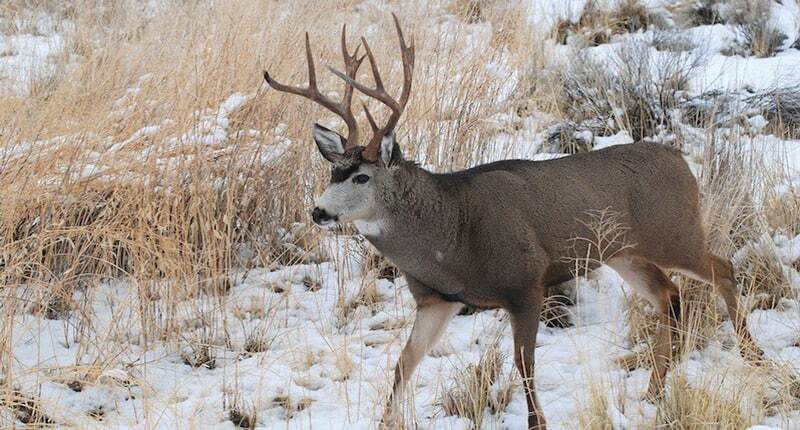 As a hunter, you need to know how deer change their pattern to be successful in hunting them. Knowing how the wind affects deer movement is advantageous to your part as you can capitalize from these facts. High winds highly alleviate the deer’s ability to detect incoming predators. More substantially, the deer’s caloric output and stress levels dramatically rise when they move during windy periods. Given this instances, deer are wise enough to change their pattern to avoid predators and minimize stress at the same time. With that in mind, a hunter can focus on areas that are shielded from high winds. You can start looking for sectors that aren’t as windy as other neighboring places. Bedding sites, for instance, is an ideal location. You can expect deer to head there as tendencies are quite high for that possibility. To make things more efficient, you can scout the places beforehand. Even before the windy periods, you can start looking for areas that could serve as sanctuaries should wind speeds are high. 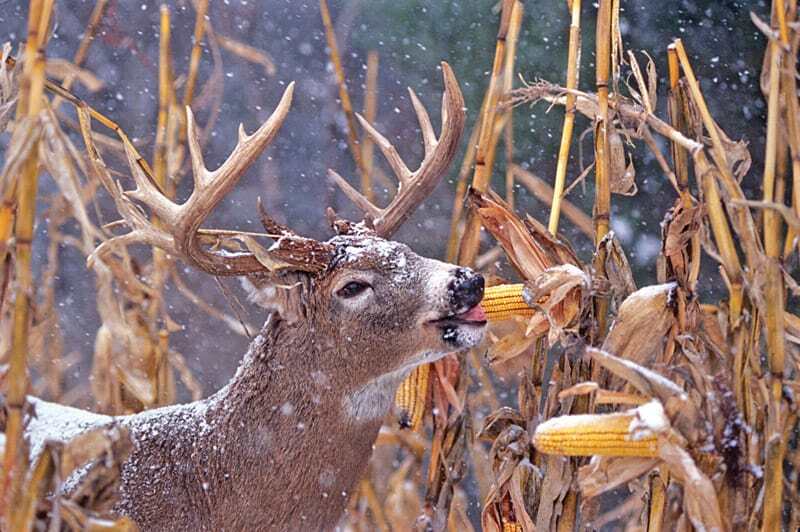 Aside from bedding areas, feeding areas are also other ideal places for deer to minimize exposure to heavy winds. Particular places include south-oriented slopes and related areas. Don’t expect a deer to come into your stand. Remember, different factors are at play when hunting during windy days. Abandon your usual hunting spot and head to the ground. This is a perfect place because the high winds cover your movement and sound. Thus, deer won’t suspect you’re around. It has already been mentioned just above that south-facing slopes is a safe bet where you can spot a deer during high winds. You must get low if you want to strengthen the possibility of encountering deer. The ideal places include drainages, valleys, and bowls. Any place that is defended against the wind is good. Spots with natural covers and thick trees are also prime spots. But prioritize the bedding areas as they are most likely there. You can either use a digital GPS or a real paper map with this tip as long as it’s an aerial map. Analyze the map and highlight areas (with different colors) and see which ones are ideal areas for deer to stay. With a map, you can hunt on a day to day basis with more efficiency and higher chances of catching one. Keep in mind that deer move less during a windy night while they move more during a windy day. This means you can hunt high during the mornings, but you should hunt low during the evening. Deer are considered (if not the one) one of the most majestic creatures of the woods. So hunting them is not an easy challenge. Otherwise, catching one is not that fulfilling at all. So the next time a fellow hunter asks, do deer move when it’s windy, you already know what to answer. Next time you write an article, please have someone proofread it. There were so many errors, it was frustrating to read. I was on the couch last season during very high winds. My neighbor was out back. 142″ buck killed. I’ll never hide from the wind during the rut again.